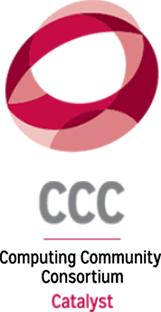 Infographics created by the Center for Evaluating the Research Pipeline (CERP) that are relevant to the Committee on the Status of Women in Computing (CRA-W). 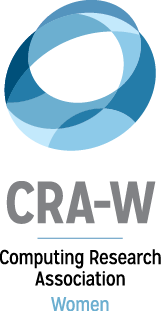 CERP recently extracted Web data to observe the career progression of women who had participated in the CRA-W’s 2008 or 2009 Career Mentoring Workshops (CMWs) compared to a sample of women who had never participated in CMWs. 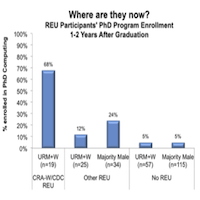 We obtained the comparison sample from a population of women who earned their Ph.D.s in computer science during the same time period as the participants. We collected current career information including job titles (e.g., associate professor) and job setting (e.g., academia vs. industry/labs) for both groups. We then categorized job titles as entry level (e.g., assistant professor, software engineer), mid level (e.g., associate professor, senior engineer), and senior level (e.g., professor, principal program manager), collapsed across job setting. To test for a systematic difference in job rankings between workshop participants and the comparison group, we ran a 2 (Group) x 3 (Job Title Rank) Chi-squared test and found a statistically significant difference in rankings across the two groups, χ2 (2, N = 181) = 8.46, p < 0.05. 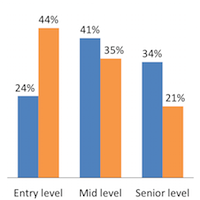 Specifically, CMW participants were less likely than non-participants to be in an entry level position, p < .05, and more likely to be in a senior level position than non-participants, p < .05. A sample of racial/ethnic minority undergraduate students graduating with a computing major (n = 201) reported whether they had applied to a graduate program in the fall. 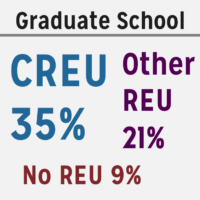 Students who had participated in a CDC/CRA-W REU program were significantly more likely to have applied to graduate program in computing than their peers with no undergraduate research experience (p < .05). Among students who had other research experiences and students with no research experience, there was no difference in graduate school application rates (p = .13). 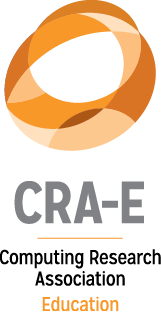 Importantly, this analysis controlled for students’ college GPA and parental education level, indicating that participating in a CDC/CRA-W REU program predicted applying to a computing graduate program over and above GPA and parental education level. 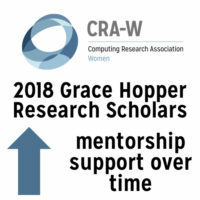 During the spring of 2015, 63 Terminal Masters students who had participated in the CRA-W’s annual Grad Cohort mentoring event for women graduate students responded to the following: How interested are you in ultimately pursuing a PhD in a computing field? Respondents answer this question two weeks prior to and two weeks after Grad Cohort using the following scale: Not at all, A little, Somewhat, Quite a bit, Extremely. 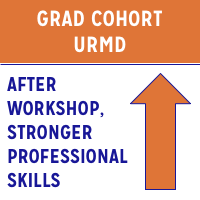 Grad Cohort is a two-day workshop that seeks to improve the success and retention of women in computing research by advising graduate students in computing on research skills and on career planning and development. Grad Cohort seeks to meet these goals using presentations, panels, and individual mentoring, and by creating professional social networks. Participants (N = 162) completed surveys prior to and immediately following the workshop. Findings suggest that Grad Cohort had a positive influence on participants’ self-reported outcomes. 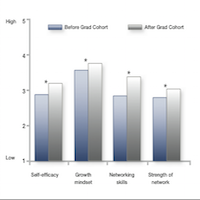 Participants reported greater self-efficacy, greater tendency to interpret setbacks as opportunities for growth (i.e., growth mindset), stronger networking skills, and a stronger network of colleagues after attending Grad Cohort than before. The complete Evaluation Report can be viewed at cra.org/cerp/evaluation-reports. 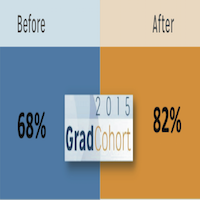 We administered a post-graduation survey to students 1-2 years after they had earned their B.S. in computing to assess their current career status. 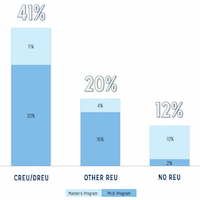 Survey respondents were more likely to be enrolled in a PhD computing graduate program if they had participated in a CRA-W/CDC-sponsored Research Experience for Undergraduates (REU) than if they had participated in Other REUs or No REUs, p < .05. 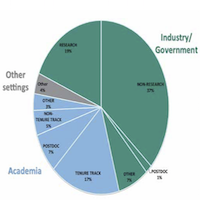 Undergraduate students who had participated in summer REUs were asked about the degree to which they obtained experience with the publication process while engaged in those REUs. 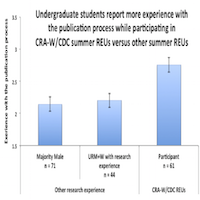 Participants in CRA-W/CDC summer REU programs indicated that they had obtained significantly more experience with the publication process than students who had taken part in other summer REUs, p ≤ .05. Click here for full details.